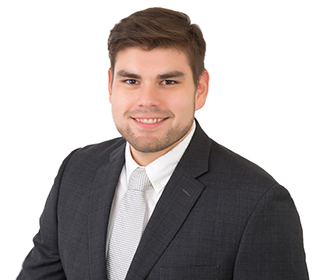 Robert assists clients in a variety of regulatory law matters in the energy, environmental, and natural resources spaces, with specific interest in how these areas affect tribal communities. His experiences include Resource Conservation and Recovery Act compliance, specifically advising clients on the civil penalty policy and insurance issues, Federal Energy Regulatory compliance, including hydropower facility relicensing and natural gas pipeline permitting, and Clean Air Act compliance. While obtaining his Master of Natural Resources degree from North Carolina State University, Robert participated in the Conservation and Diversity Project Internship Program with the Conservation Trust for North Carolina. Following his 1L year, Robert interned at the United States Department of Agriculture through the Washington Internship for Native Students program. Robert is also an enrolled member of the United Keetoowah Band of Cherokee Indians in Oklahoma. Performed legal research regarding state regulations for air toxics modeling for large scale automobile manufacturers. Drafted white paper for trade association regarding natural gas company consultation with tribes. Drafted memorandum regarding RCRA civil penalty calculations in order to assist client with negotiating overall penalty calculation. Assisted in document production and deposition preparation for FERC investigation. Drafted hydropower client response to tribal comments opposing preliminary permit application. Assisted in representation of a coalition of hydroelectric licensees at FERC technical conferences presenting arguments disputing agency annual charges. Provided technical and legal support for the settlement negotiations between a hydropower client and various state and federal agencies, which culminated in the signing of a Comprehensive Relicensing Settlement Agreement. Drafted memorandum regarding State of Alaska eminent domain regulations. Tracking litigation and drafting memorandum regarding ongoing federal cases in the tribal lending space. Drafted an Initial Statement for amendment to a hydropower license.